Halloween used to be the most awesome time for Pinoy fans of weird, paranormal stuff. [firstpara] Mainly because, it was the time that Magandang Gabi Bayan showed us their cool, creepy, campy Halloween specials. Their white lady re-enactments were the best. Now, we’re less believing of these things. We’re quick to dismiss “ghost videos” as fake, probably concocted by some dude with moderate video editing skills. We’ve finally become smart, rational beings. And then Discovery Channel gives us Ghost Lab, an all-new, smart and rational 13-part series about a pair of ghost-hunting brothers, Brad and Barry Klinge. Using the latest technology, these Texas natives take supernatural, paranormal research to new heights. In the show, we will see just how these modern ghostbusters obsessively seek every paranormal nook and cranny for ghostly evidence. 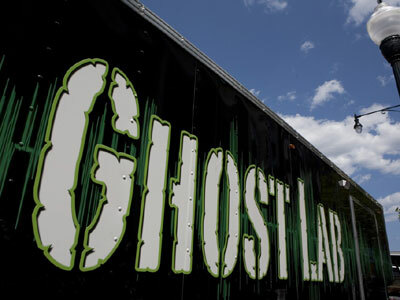 They’ll be visiting some of the most haunted locations in all of North America, riding in their traveling ghost lab, which is a 24-foot car hauler pimped out with flat-screen TVs, and audio, video, and photo analysis stations. Sadly though, we have yet to see them take out their ghostbustin’ proton packs. In places like Tombstone, Arizona, purported to be home to some of the most violent deaths in history, and the Granbury Opera House, where the person suspected to have assassinated President Lincoln once performed, the Klinge Brothers might just find what they’re looking for, and then some. Ghost Lab premieres on May 6, Thursday at 10 PM. Encores on Thursdays at 5 AM and 11 AM, Fridays at 1 AM, 7 AM, and 4 PM, Saturdays at 6 AM and 11 PM, and Sundays at 12 AM. Only on the Discovery Channel.